Going on vacation is the perfect way to relax and take a break from all the stresses of life and work. However, what if you could make extra money while you lounge on the beach? Luckily, this is possible and there are countless people who are able to travel the world while still earning extra money. Below are some examples of jobs you can do while traveling that won’t affect your vacation vibe. They range from renting out your parking spot at home to finding a way to monetize your gorgeous vacation photos. From house sitting for six weeks in Costa Rica to minding an alpaca farm in New Zealand, they’ve done it all. They recommend using the website TrustedHousesitters and setting up a profile to find gigs. It’s not always the most relaxing way to take a vacation, but many freelancers (myself included) take the time to complete an assignment or two so that we can make extra money on vacation. For experienced freelancers who only bring a small amount of work with them, it can be pretty satisfying to make a few hundred dollars while gazing out at a beautiful ocean while on vacation. If you want to learn how to work from anywhere or start earning passive income, you might be interested in our comprehensive guide on how to start a blog. Do you live in a desirable area close to amenities? If so, you can start earning passive income by renting out your parking spot. Many hotels charge a fortune to their guests for parking. I recently went on a trip with my sister, and the hotel charged $37 for parking every day! If you live close to a hotel, sports arena or great shopping area, you can make money by letting people use your parking space while you travel. An app like Spot can help you with this process. The company Turo is revolutionizing the car rental industry by allowing individuals to rent out their cars at competitive prices. So, while you’re away on vacation, you can allow someone who is traveling to your city to use your car. It sounds sketchy at first, but when you think about all the people using Airbnb and sharing their homes with strangers, renting out your car as a way to make extra money doesn’t seem that far fetched after all. Turo provides its customers with a $1 million liability insurance policy to help prevent theft and fraud, so that definitely helps provide peace of mind. Going someplace with a gorgeous landscape? Upload your photos to an app called Foap. With it, you can upload your mobile photos to a marketplace where large brands can buy them. It’s much less expensive for a brand to pay you for your photo than it would be for them to hire a professional photographer. So, if you don’t mind sharing all those pictures of the beautiful sunsets or dolphins, go ahead and upload them and see if you can make extra money from them. 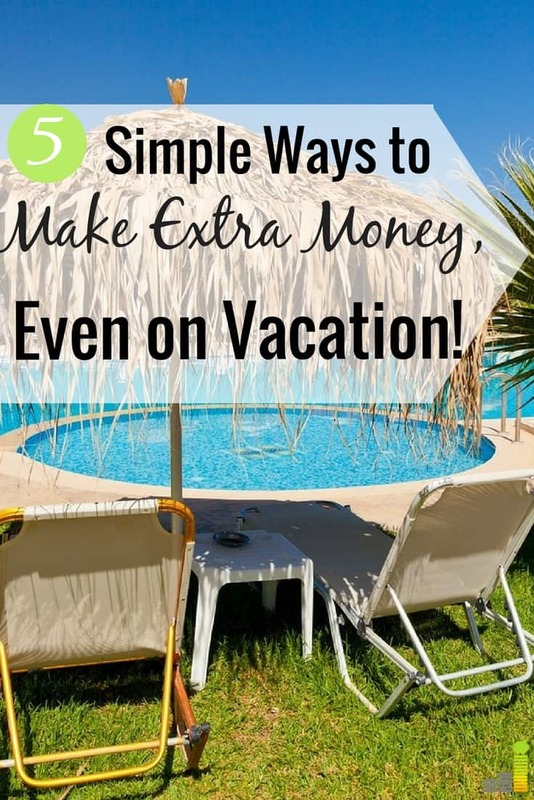 Of course, these are only a few examples of ways people can earn extra money while on vacation. Speaking from personal experience as someone who lived abroad for three years, there are definitely ways to make money when traveling. When I lived in Grenada, I taught dance classes, babysat a little boy and even networked enough to get a job at the local university. Of course, this all took time, but it just goes to show that if you take a little time to learn more about the culture and the community that you’re visiting, you’ll find ample ways to make an income locally or back at home by renting out the things you aren’t using. Would you rent out your house or car while you’re away? What out of the ordinary things have you done to make extra money? Have you ever thought about how you could make extra money on vacation? The post International House Sitting and Other Ways to Make Extra Money on Vacation appeared first on Frugal Rules.